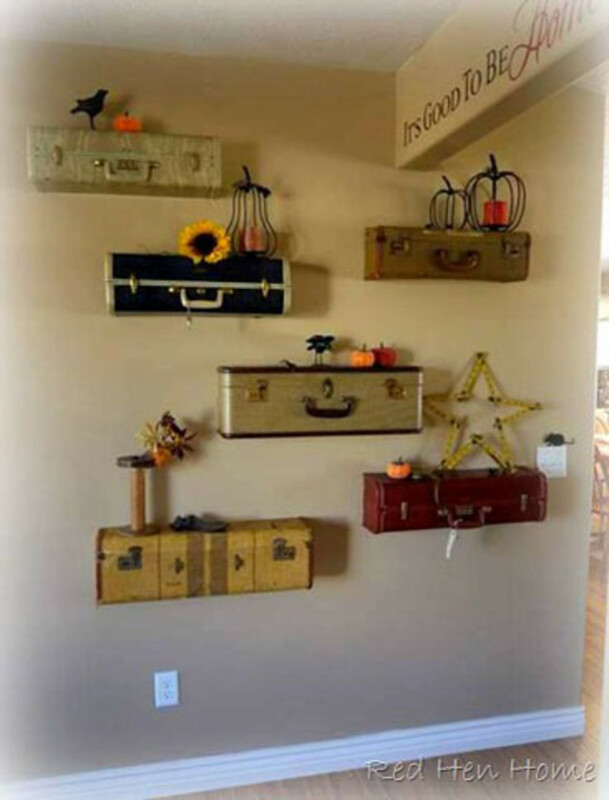 Wondering how to decorate with those old suitcases gathering dust in your attic? 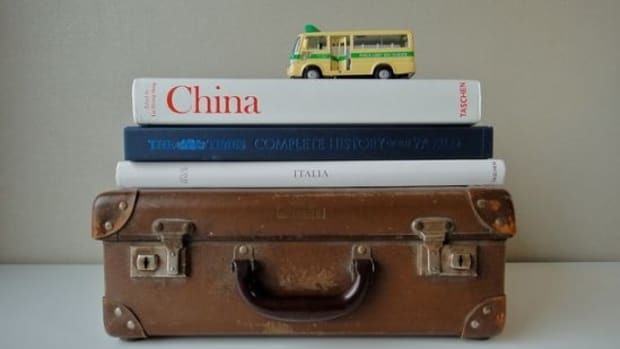 Vintage suitcases are full of character and charm - and with a little elbow grease you can transform them into an uber-creative conversation piece for your home. 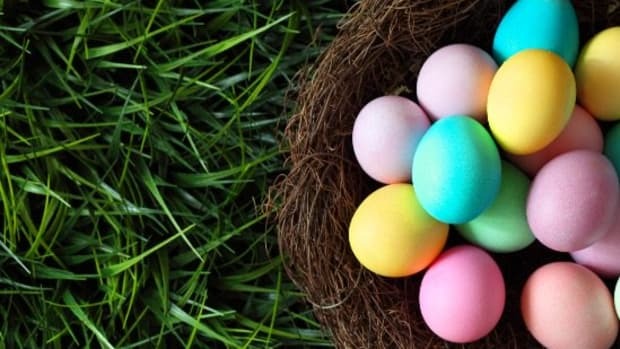 When planning how to decorate your front stoop, a welcome sign is practically a must. 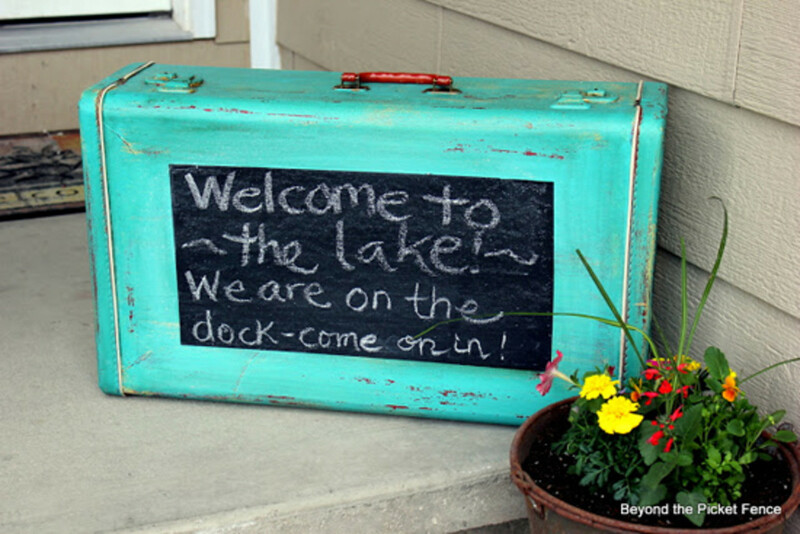 That being said, many store-bought ones lack in the creativity department, which is why this suitcase welcome sign is so appealing. Bonus points for the fact that you can hide things like potting soil and other generally unattractive maintenance items inside of it. 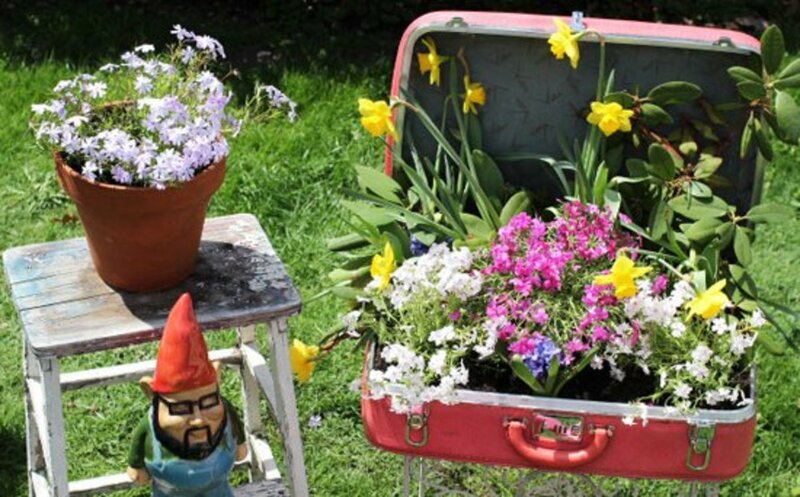 I love suitcase garden planters - and the brighter the better! 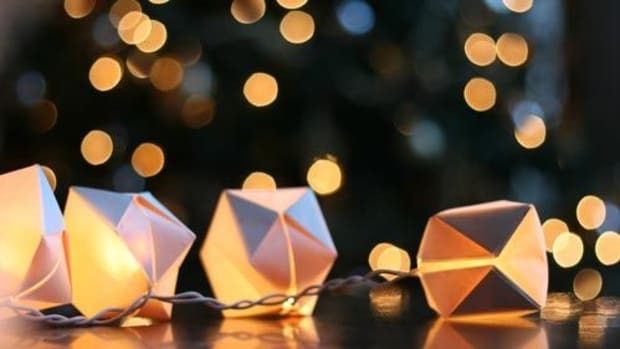 Get the DIY here. We all have that one awkward wall where nothing seems to fit. Either it&apos;s too narrow or a weird shape and looks like a funhouse mirror when you hang something on it. 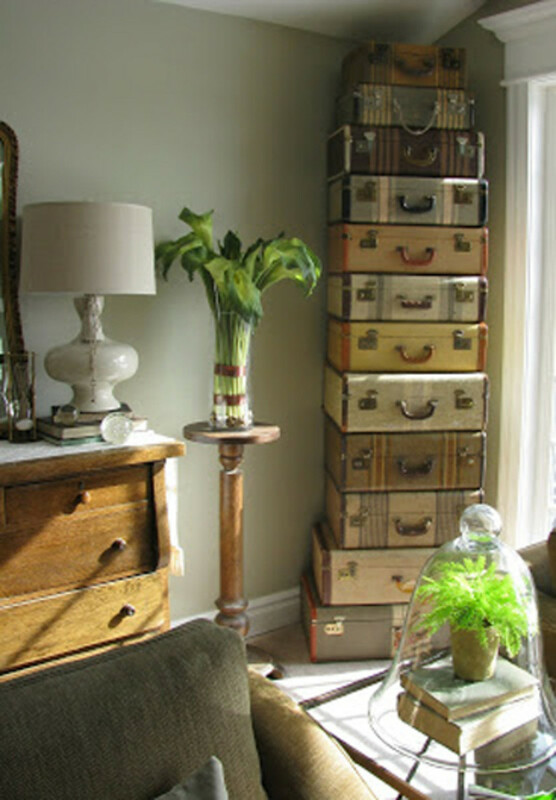 If you&apos;re not sure how to decorate it - don&apos;t. Instead, create a tall stack of vintage suitcases to go with the wall&apos;s quirkiness (and your own, of course). 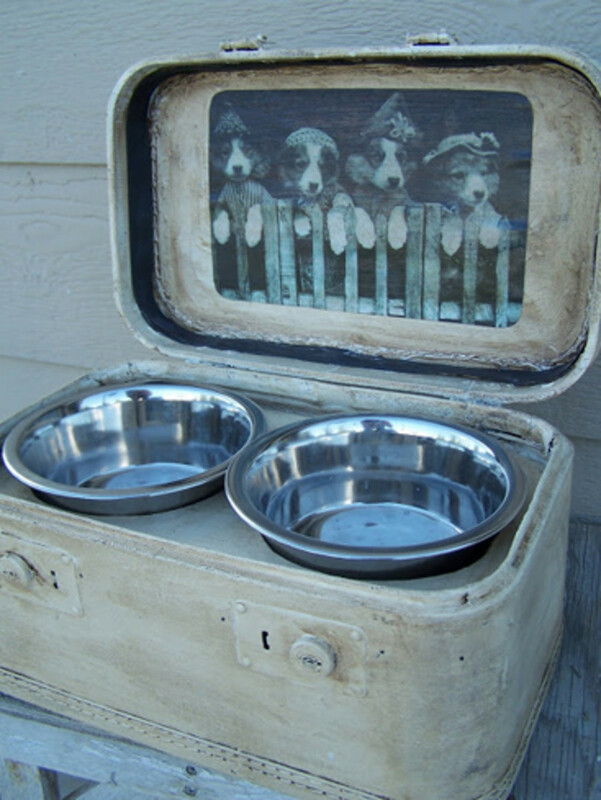 For real: This pet food dish is made from an old, plaid travel suitcase. 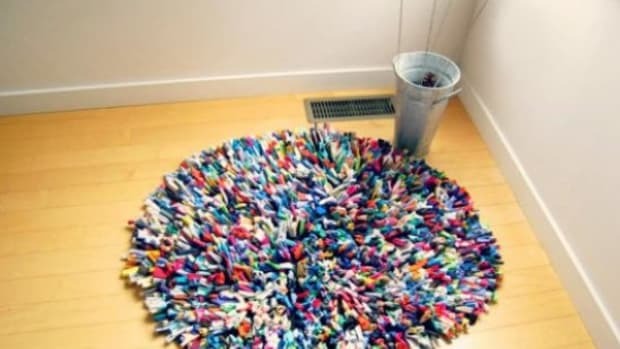 The before and afters are stunning! 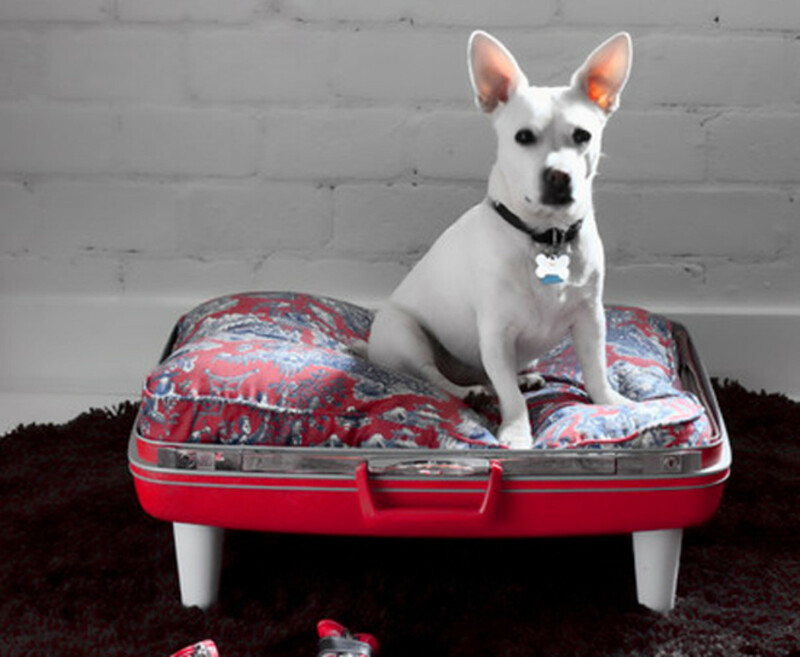 If your dog or cat needs a bed with as much personality as they have, why not make them a vintage suitcase pet bed? 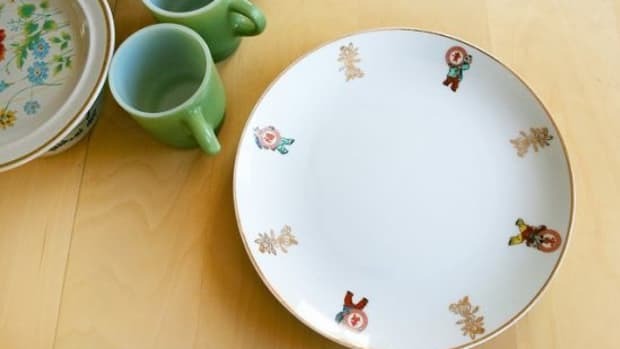 Get the DIY here. 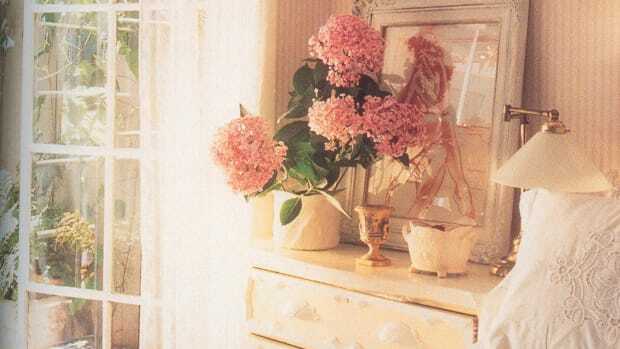 This suitcase cabinet is super versatile and would look fabulous in any room of your house. Score the how-to here. 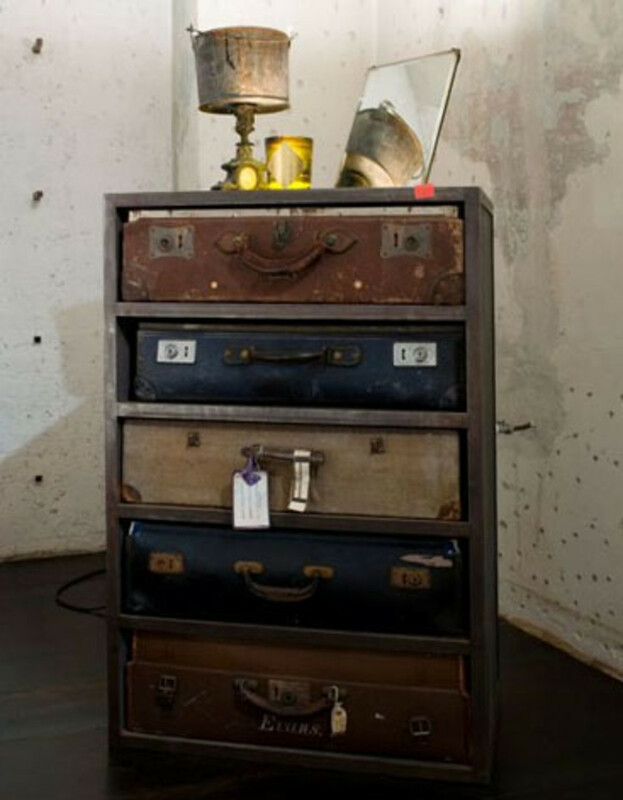 If your dresser&apos;s feeling a little drab, get rid of those blasé drawers and replace them with vintage suitcases. These dressers are made of metal for more of an industrial feel. 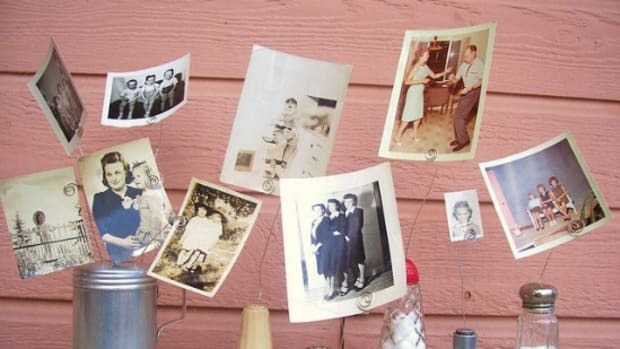 If you&apos;re planning on how to decorate with vintage suitcases (you know, like me), you&apos;ve got to try this wall shelf DIY. 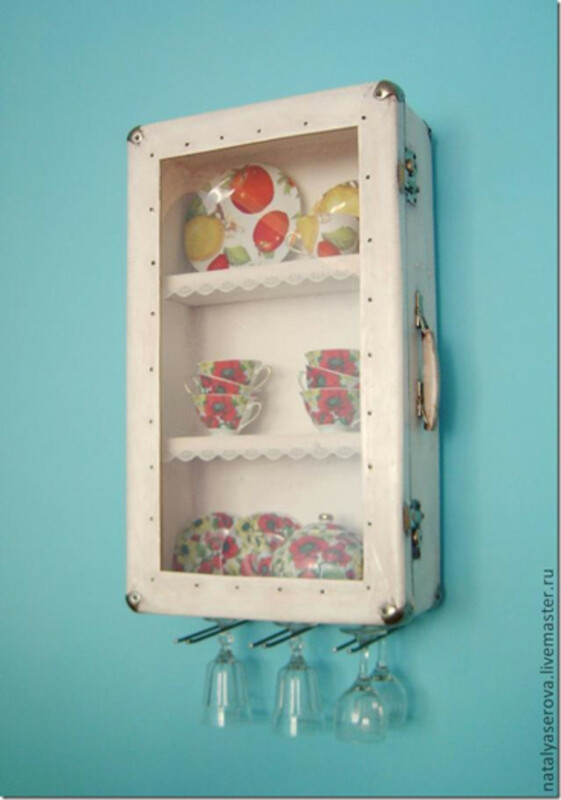 While I chose this how-to as my favorite, I did see other DIYers who hung their suitcases on the wall so they could also store things inside - perfect for small spaces. 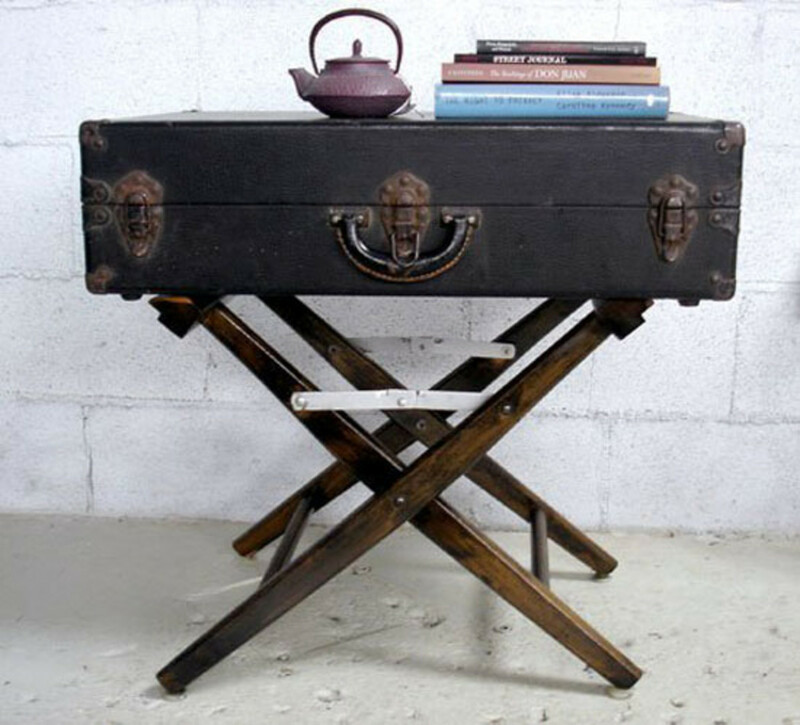 Being a screenwriter, I instantly fell in love with this entrance table that&apos;s made from a vintage suitcase and the legs of a director&apos;s chair. 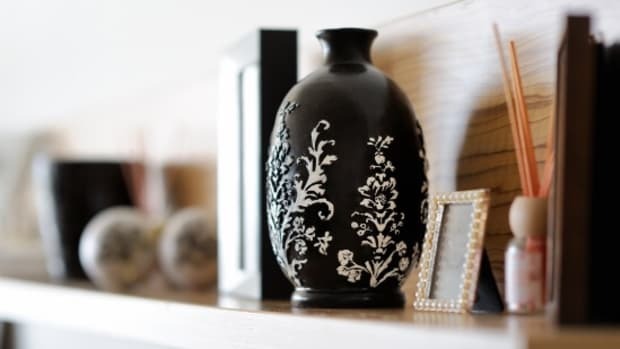 So simple and so chic! 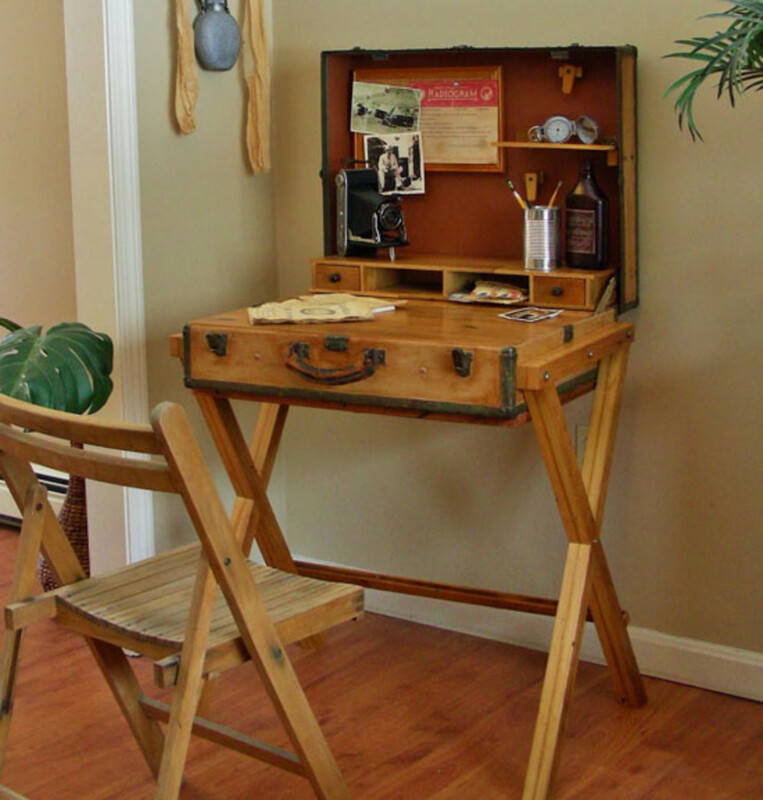 If a desk and a suitcase had a baby, it would be this genius piece of furniture. Not only is the drawer invisible, but when you have company you can shut the lid to hide the fact that you&apos;re a total messypants. 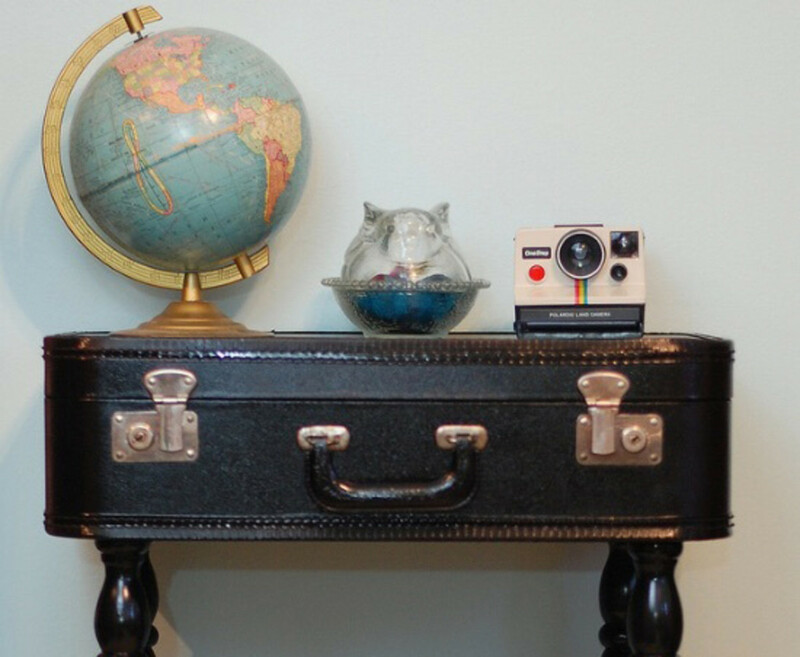 What are your fave ways to repurpose vintage suitcases?